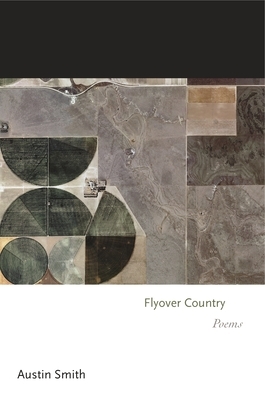 Flyover Country is a powerful collection of poems about violence: the violence we do to the land, to animals, to refugees, to the people of distant countries, and to one another. Drawing on memories of his childhood on a dairy farm in Illinois, Austin Smith explores the beauty and cruelty of rural life, challenging the idea that the American Midwest is mere "flyover country," a place that deserves passing over. At the same time, the collection suggests that America itself has become a flyover country, carrying out drone strikes and surveillance abroad, locked in a state of perpetual war that Americans seem helpless to stop. In these poems, midwestern barns and farmhouses are linked to other lands and times as if by psychic tunnels. A poem about a barn cat moving her kittens in the night because they have been discovered by a group of boys resonates with a poem about the house in Amsterdam where Anne Frank and her family hid from the Nazis. A poem beginning with a boy on a farmhouse porch idly swatting flies ends with the image of people fleeing before a drone strike. A poem about a barbwire fence suggests, if only metaphorically, the debate over immigration and borders. Though at times a dark book, the collection closes with a poem titled "The Light at the End," suggesting the possibility of redemption and forgiveness. Building on Smith's reputation as an accessible and inventive poet with deep insights about rural America, Flyover Country also draws profound connections between the Midwest and the wider world.